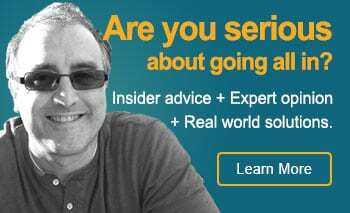 While attending Webmaster World in Las Vegas years ago, I finally got to speak uninterrupted to a top affiliate that I had been chasing for the last few years. He shared something that he did, that while extremely unethical, it is a strong reminder that trust goes beyond your words. It is verifying the information you are given. He is an affiliate, and a good one. He markets a product that is highly competitive. He wouldn’t tell me which product but that it was on the same level as viagra regarding payout and competition. There was a software application which I will refer to as “PRODUCT A.” Now, “PRODUCT A” was real good at generating a massive number of pages, including AdSense code, and getting the pages spidered by Google. The result? Lots of five figure AdSense checks for nearly any webmaster who used the software correctly. They systematically banned any site using the system (due to a “footprint” code left by PRODUCT A on every page it generated). Because of this sweeping ban, the affiliate and his partners had an idea. They set up multiple “dummy” SEO companies around the country. Ordered cell phones in the local area and put up web sites. 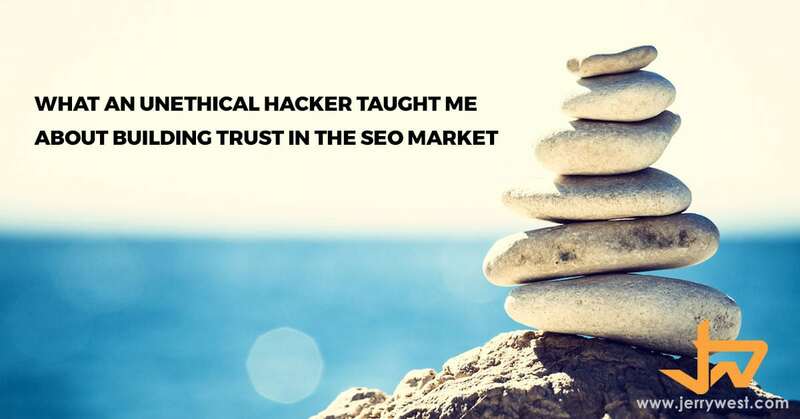 They then contacted their main competitors and posed as “SEOs” and offered to do SEO on the unsuspecting owner’s site without a setup cost, just a piece of the increase in sales. They shared their research of the market, dazzled them with analysis, and gained trust by showing areas in the market that had not been exploited. Nearly every major competitor signed on and gave them full FTP access. No background check. No verification on how long they had been in business. No reference check. Nothing. Each competitor seemed thrilled for getting a high level of service without a setup fee. What did they do with their new found trust? They went into each site and uploaded the “footprint” code from PRODUCT A into the main pages. It took about a month or so, and one by one, each competitor’s entire site was deindexed and banned by Google. As soon as the first site dropped, they shut down their fictitious websites, canceled the cell phones and just disappeared. The result? Even a year after this was done, the competitor’s sites are still banned, and the “offenders” are enjoying top listings for their major keyword phrases. The competitors are regulated to using AdWords, and spending thousands per day to keep their businesses running. His reaction? No remorse. And lots of gloating. Don’t let this happen to you or your client. Right now, sit down and make a list of everyone who has FTP access to your servers. Who inside your company and who outside? Write them down. All of them. If there are individuals that you question their trust, you might be best served to restrict their access. State there has been an “elevated threat level” on the server. Hey, it works at the airport. If you are the owner of your business, your first responsibility is to the data to ensure it is safe. 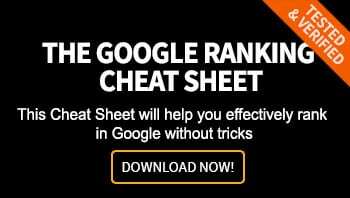 If your business counts on Google for the bulk of your traffic, you better have full trust with all the people who have access to your server. You don’t want to suffer the fate of those companies mentioned above. If you do SEO work for clients, call them one by one, and ask them the same. This would also be a good time to remind them of the business relationship that you have together, the trust, the bond, etc. Thank them for their business and their trust and reemphasize that you will never violate that sacred trust because you value their business. Make an appointment to discuss with them their goals for the next six months so you can make sure the SEO strategy that was put into place months or years ago can fulfill those goals. Here are other areas you can hit to ensure you are meeting your client’s expectations. If you don’t take clients, look to see if you are meeting these areas too. Do you prefer to work with Organic Search or Paid Search? With the massive changes in the way that the SERPs are displayed, if you are an “organic only” shop and you service clients, you could be out of business shortly. With more paid search results displaying at the top of the results, local results and Google Mobile results are forcing the organic listings further down the page. Because of this, the demand for top organic listings is dropping quickly based on survey results. So, ensure that you are offering both services, as doing paid search is an extension of organic search. Remember, if you have a #1 ranking in the organic listings, it is still a smart plan to also have a listing in the paid results area. Even if the client resists, the test results that I have show that a top listing in the organic area, as well as the paid area, increases the click through rate AND the conversion rate. The reason is that the “recognizability” of the domain is heightened and trust is built before they even get to your site. The thought is, “Wow, this company is here multiple times, they must be good.” Bam. Click and conversion. Both Google and Yahoo! offer services to “certify” you in their Paid Search programs, which will greatly enhance your trust with your current clients and prospects. Get them. How extensively do you sharpen your skills as a keyword researcher? Many SEOs have lost their ability to focus on the RIGHT keyword phrases for their client’s campaigns. Do you first test your keywords in PPC to ensure they will convert before starting that big organic campaign? If you don’t, you could end up with a #1 ranking for a keyword that doesn’t convert. The happiness your client has will be short-lived with a worthless #1 listing when they ask why no one is buying their product or service. Focus on the keywords that will drive buyers, not just traffic. You can ask your client what they would prefer: a ton of traffic with a few sales, or average traffic and a lot of sales. It is clear what they want. Make that cash register ring and you will be the “Rainmaker” for your client. The best way to do this is to spend time each week expanding your skills as a keyword researcher. Scrape the keywords from competitors, analyze them, use new tools, use old tools in new ways, etc. Shake things up and expand your knowledge. Do you see a trend here? Most “seasoned” SEOs are “stuck in a rut” when it comes to keyword research, and they miss the best keywords because of it. Don’t let this happen to you. Do you track conversions at the keyword level? It is said that 50% of all advertising is wasted. The trouble is, you don’t know which 50% it is. That is until now. With PPC, you can know that information; you just have to track at the keyword level. All that means is inserting a tracking code on the order page, so you know exactly which keywords are driving sales. Knowing this allows you to make key changes to the PPC / organic campaigns or to the landing pages themselves. For example, if a keyword phrase gets 500 clicks a day, but is only producing 2 sales, that is a keyword that should be dropped. Unless, of course, it is a big ticket item and profitable. Conversely, a keyword that gets 70 clicks a day and also produces two sales is one that should have its campaign aggressively increased. Again, it depends on the average revenue per sale. By getting rid of the under performers and pushing hard on the converting keywords, your overall spend may be the same, but your conversions could go up as much as 50%. And that is something your client will smile over. If your client tells you that their current eCommerce solution does not have the ability to track at the keyword level, tell them they need a new solution or get on the phone with their provider and tell them what they need and why. There is no reason that you can’t track at the keyword level. By not doing this your marketing campaign is just guess work, and that isn’t a smart way to do business. How do you measure results? Each section you discuss the increase or decrease and the reason for it. If it increases, usually the plan is “stick with what we are doing” whereas if it goes down, state what you propose, and make it clear and easy to understand with any additional costs discussed and agreed to. If there are two options, have them printed on paper – one per page with large type and an action plan for each and let them choose. Honestly, they will love this approach over the “keyword rank report” (which you can still supply if you wish), but you review the real numbers. The numbers that matter to them which is usually the difference between profit and loss. And they will smile each month when they write you your maintenance check. Do you offer copy writing services? Good PPC campaigns need good copy writing. I bet there are English majors waiting tables in some local coffee shop that would love to have a job as a writer. Not everyone is a good copywriter, but you never know where you will find the next great writer. A good copywriter is invaluable, and your client will love it if you offer this service, but don’t try and do it on your own. Your other parts of your business will greatly suffer. How much are you focused on link building that matters? Are you after quantity or quality? Are the links you are getting driving traffic? Are you not focused on paid links because you are nervous about the “Wrath of Google”? Be smart and be focused. Seriously, here is a wake-up call. SEO has become a game of adding content and getting links. Master, the rate, quality and quantity in your industry and your job will be a breeze. In this rapidly changing industry of Search Engine Optimization, it is the shops that offer full-service to their clients that seem to be growing, while the “specialized” shops are shrinking. Focus on Trust. Focus on the Relationship. Fire the clients who don’t measure up. Raise the bar for clients you will take. And watch your revenues climb while your stress plummets. Trust Yourself. Trust Your Judgment. But Change Your Passwords. How Well Do You Know Your Competition? Copyright © 2019 JerryWest.com. All Rights Reserved.